Let’s face it, formal letter-writing has gone the way of the pager. Once a necessary communication tool, it’s now a relic of an era before email, only to be used in specific, often similarly antiquated situations. But what should you do if you have occasion to write a letter? And what if you have to write that letter to someone who isn’t a man? Never fear, fearless writer, you’ve got this. Clearly, nobody knows how to address those darn women in their letters. So, as a representative of the female gender, let me clarify a few things. When in doubt, it’s best to use the first and last name of any person you’re addressing a formal letter to. It’s both formal and conveniently gender neutral! Dear Mrs. Jonathan Smith, Try our special new line of pens. Your husband will be thrilled that you are no longer laboring over your grocery list with a regular pen! Use whatever pens you want. You’re a human being. Want more proof that this is the way of the future? Bloggr surveyed our audience on this topic, and found that the “Dear [First name] [Last name]” option was widely preferred. Want to voice your opinion? Vote in the poll below. Here’s a tip: Need a more cohesive guide to addressing a letter to someone you don’t know? Check out this flowchart. Of course, this discussion of writing letters to ladies would be incomplete without a discussion of “Ms.” Although this title has a 100+ year history, its use has been varied over the years. Some writers default to “Miss” or “Mrs.” based on their assumptions about a woman’s marital status, or because that’s how they were taught in school. 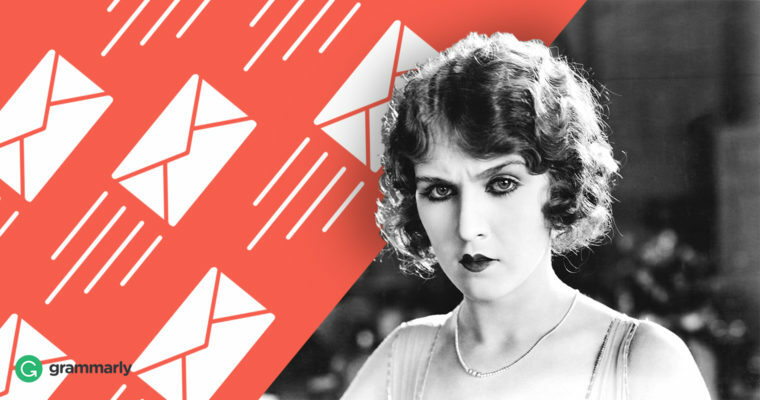 In the twenty-first century, I’d assert that it’s time to put this system of cringe-inducing honorifics behind us and stick with “Ms.” for all female-facing correspondence. How did “Ms.” come to be? According to The New York Times Magazine the title was first proposed by an unnamed writer in a 1901 Massachusetts newspaper. Yes, you read that date right: 1901. Although this first usage made a little buzz, it was quickly forgotten, and the title stayed out of the public eye for the next forty-eight years, until it appeared as a note in Mario Pei’s The Story of Language. Throughout the 1950s, “Ms.” was mentioned timidly as an expedient time-saver, without much public acclaim. Then, during the women’s movement of the ’60s and ’70s, “Ms.” took on a new, political life. This era heralded the title. Activists began to use it, , and people began to discuss the honorific as an equalizing force between men and women. With its rich history, it’s safe to say that “Ms.” is preferred by many women of the twenty-first century. However, there are a few times when you should definitely avoid this title. First of all, if a woman has a professional title, use it! Women who are doctors, lawyers, professors, judges, officers, etc., should be addressed just like their male counterparts. Your recipient worked hard for her MD, JD, PhD, judgeship, etc., so don’t overlook the importance of the accolade and the opportunity to make a solid first impression. Dr.—In English, this can indicate either a medical doctor (MD) or someone with a doctorate in a subject (PhD). Note: about whether lawyers (JD) can use this title. Prof.—Used for professors at universities. Esq. (American) or Adv. (British)—A suffix used for lawyers. Hon. (American)—Used for judges and justices. Officer—Used for police officers and other types of law enforcement. Please note that there are many more titles used in both the UK and the US to denote clergy, politicians, military members, and noble persons. You can refer to if you need help navigating the wide world of English honorifics. One great thing about lady-humans is we’re all different. We have different wants, hopes, dreams, favorite bacon-enhanced foods, and even (you guessed) preferred titles. If a woman specifically asks you to use another title to address her (or uses it to describe herself), use her preference. “Ms.” may be handy, but each woman is an individual human being with different views on this topic, and since “honorifics” are meant to “honor” a person, you should respect their wishes. Also, if you mess up someone’s title in a letter or email, don’t worry! The relative obscurity of letter-writing means most people will be more forgiving with formalities than they used to. After all, we live in a world of business emojis and work-appropriate textspeak. If you’re addressing someone who identifies as neither male nor female, or if you don’t know the gender of your recipient, “Mx.” is a great option! You can read more about how to use gender-neutral language in my blog post on the subject. What do you think about “Ms.” as a catch-all title? Tell me in the comments below!